Swale Weather for Facebook has been approved and made available on the Facebook App Store. 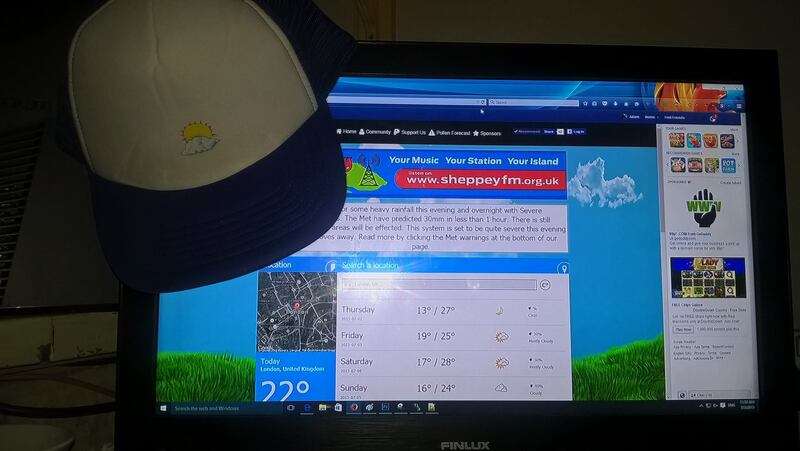 You can view the Swale Weather Website within a application on Facebook instead of visiting the main website. 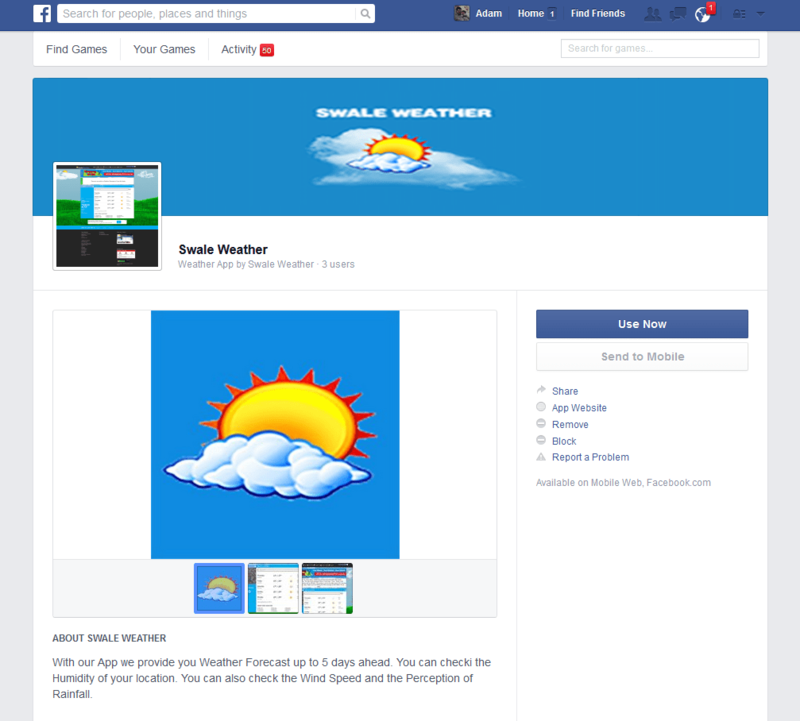 We know how much you like Facebook so we got straight down to creating a Facebook Swale Weather App. It is secured by a SSL which will keep the website safe inside of Facebook. We want to let you know that we will bring new updates and make them become available Automatically to the App. We hope to bring some nice in App features in the future to make the App more interesting such as interacting with other Facebook Members through the App. New improvements are under way and we will be rolling them out soon. We are making it into a Game too.